There have been quite a few questions on the differences (or similarities) between a slip ring and its close resemblance mechanisms like split rings and commuters. Leaving aside the former, we will now discuss on differences between a slip ring and commutator. 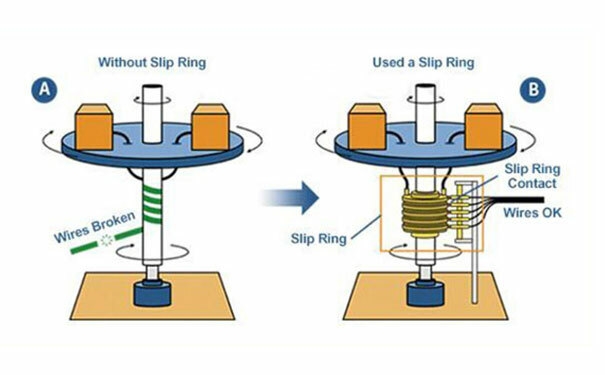 Slip rings, as we have known over time, are simple mechanisms (in words only) that help in sending power from a stable component to a rotating component of any device or appliance. The stable component of the mechanism is called the stator while the rotating component is called the rotor. However, it is only when we get to the practical bits of slip rings that we start feeling that this simple mechanism is not that simple. In fact, every bit of the mechanism, starting from the slip ring rotor to the brush that stays in contact with the rotating part need to be specifically designed keeping the type and usage in mind. Once this is done, then comes the credibility and the conductibility of the materials used for the materials for the brush and the stator and rotor. 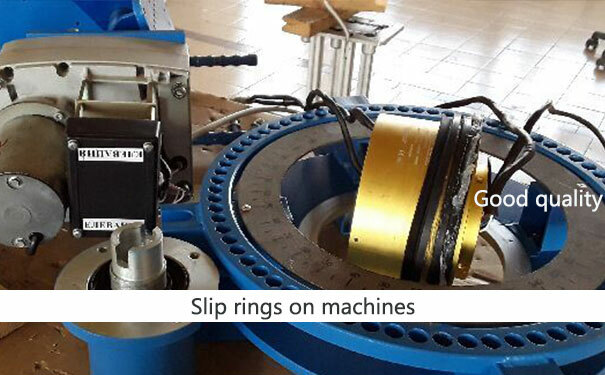 This is done to increase the life of the slip rings and also get the maintenance to get lower. Hence, the slip ring assembly requires a very high level of skills while being manufactured and set up. Now, coming to the electric commutators, they are a lot different than what slip rings are generally. In simple terms, the commutators are the rotary switches that find its usages in electric motors and generators. These components are most used in electric appliances to reverse the directions of current periodically between a rotor and an external circuit. 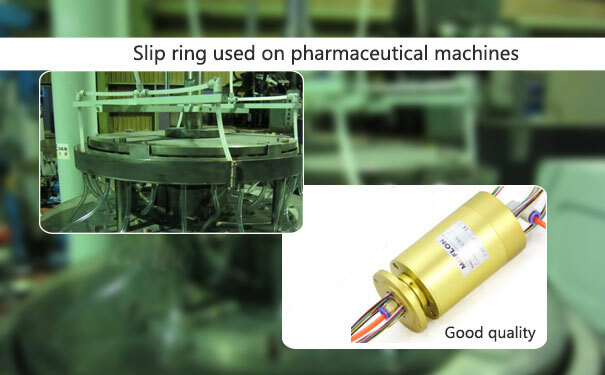 pancake slip rings are given the name due to their shape. Such devices come as a flat disc design with a rotating shaft in the middle. They are higher in weight and volume and also have higher crosstalk capacitance. wireless slip rings dive away from the general concept of slip rings in which there is a sliding brush contact between the brush and the rotating brush. Instead, the transmission of the data signals and power takes place through magnetic fields. The electric commutators have sets of contact bars that have fixed rotating shafts and are fixed to any appliance or machine. At the time when the shaft rotates, the commutators help in reversing the flow of the current in the winding. The armature current in any motor can make the magnetic field put rotational force, something that can also be called as torque. Considering a generator, this torque is applied to the shaft, which helps in maintaining the motion winding with the help of the magnetic field.